What do you notice about the majority of states on this list that receive the most federal funding? Yup, they are some of the reddest states in the country. Federal government spending is a major driver of the New Mexico economy. In 2005 the federal government spent $2.03 on New Mexico for every dollar of tax revenue collected from the state. This rate of return is higher than any other state in the Union. The federal government is also a major employer in New Mexico providing more than a quarter of the state’s jobs. Many of the federal jobs relate to the military; the state hosts three air force bases (Kirtland Air Force Base, Holloman Air Force Base, and Cannon Air Force Base); a testing range (White Sands Missile Range); and an army proving ground and maneuver range (Fort Bliss – McGregor Range). In addition to the National Guard, New Mexico has a New Mexico State Defense Force. Other minor locations include the New Mexico Army National Guard Headquarters in Santa Fe county and the National Guard Armory in far northern Rio Rancho in Sandoval county. Other federal installations include national observatories and the technology labs of Los Alamos National Laboratory (LANL) and Sandia National Laboratories (SNL). SNL conducts electronic and industrial research on Kirtland AFB, on the southeast side of Albuquerque. These installations also include the missile and spacecraft proving grounds at White Sands. Other federal agencies such as the National Park Service, the United States Forest Service, and the United States Bureau of Land Management are a big part of the state’s rural employment base. They are awash with military installations and little green men. The funny thing about this is New Mexico is the state of Gary Johnson, a man who has become the second-biggest Libertarian hero behind Ron Paul. During his stint as governor, Johnson slashed state spending and balanced the budget. He gained a national following, generally among small government types, as a symbol of fiscally responsible leadership. I suppose small government is not possible without large government. The second biggest recipient on the list is the poorest state in the country, Mississippi. Their standing as number 2 in 2005 is probably due to Hurricane Katrina. Each person in Alaska receives approximately $20,351 in federal funds each year. Compare that amount with Nevada residents who receive only $7.14 per year. The large amount of federal funds that go to Alaska allow them to go without a state income or sales tax. Besides a generous amount of federal dollars for defense spending within the state, the state also receives a disproportionate amount of federal subsidies for oil and gas exploration. Many Alaskan residents actually receive a yearly check, which comes from the massive revenue generated from Alaska’s oil and gas reserves. Some would argue that far from being “independent,” the state actually is heavily dependent on the federal government it so maligns. Wow, it seems that Alaska is one giant den of welfare recipients. Is this the independent and can-do American spirit that Sarah Palin spoke so much about on the 2008 campaign trail? Louisiana was the fourth state on the list. Just like Mississippi, Hurricane Katrina seems to account for its standing in 2005. In reality, the coal industry is heavily subsidized by the federal and state governments, enjoying explicit subsidies of billions of dollars a year, plus the indirect subsidy of free pollution that costs the United States 10,000 lives a year, destroys the land and water of mining communities, and destabilizes our climate. In September 2009, the Environmental Law Institute identified coal industry “subsidies of around $17 billion between 2002 and 2008”. So, taking a look at 3 of the top 5 states who benefit the most from federal tax dollars, we get a picture of who the biggest welfare recipients are in the United States: the military-industrial complex and polluters. And who pays those federal taxes? It certainly is not the wealthiest corporations who, thanks to loopholes and the Bush Tax Cuts, pay absolutely nothing. No, it is you and I, the working people of this country who fund imperialist war and environmental degradation. The key voting bloc in this state is Hispanics, which makes up a plurality of the state’s total population with 45%. George W. Bush enjoyed good popularity with Hispanic voters and received over 40% of the Hispanic vote nationally in 2004. As a result, Bush had the ability to nip John Kerry by approximately 6,000 votes in New Mexico in 2004. In the previous election, New Mexico had been a very close swing state. Al Gore won the state by only 300 votes in 2000, which was even narrower than the controversial results in Florida. However, after the 2004 presidential election, support for Bush in the Hispanic community collapsed. 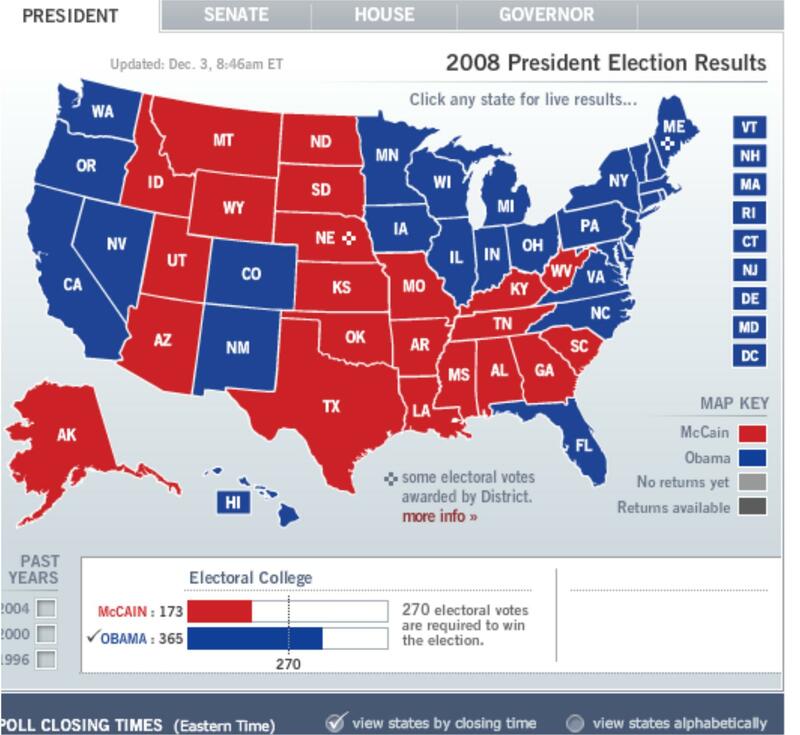 During the 2008 election, New Mexico was regarded as an Obama-leaning state despite the fact that John McCain was from neighboring Arizona and held similar views on illegal immigration to those of Bush. Ultimately, McCain was only able to obtain 30% of the Hispanic vote. The Republican base in New Mexico consists of the more rural southeastern part of the state which, while thinly populated, votes heavily Republican. Democrats are strongest in the state capital, Santa Fe and its close-in suburbs. The city of Albuquerque and the southwestern part of the state are also Democratic, but to a far lesser extent. On a larger context, Southern New Mexico is typically more Republican while Northern New Mexico is traditionally more Democratic, while Albuquerque and other areas in the center tend to swing both ways. There are 4 major military bases in New Mexico. And where are 3 of the 4 bases located? That’s right, in the southeastern (Republican) part of New Mexico: Curry and Otero counties. The reddest parts of the state are the biggest beneficiaries of federal largesse. So the bluest states in the United States subsidize the reddest states. And yet, the reddest politicians rail against government handouts and how those handouts destroy the individualist spirit of the country. They certainly do, just not for the reasons they imply. Speaking of American tradition, 3 of the 5 states who subsidize all of this welfare are from the oldest (eastern) parts of the country. And the two largest welfare recipients? From the youngest (western) part of the country. There is your American tradition. The political narrative in this country has been stood on its head. This entry was posted in Parallel Universes, Politics and tagged America, economics, Military-Industrial Complex, Politics, Polluters, Taxes, Voting Patterns, Welfare. Bookmark the permalink. Thank you for elevating the level of discourse. Have a great day. 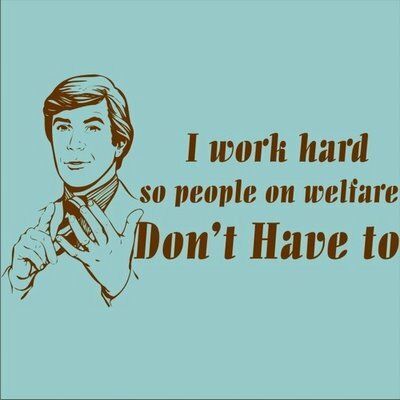 What are the stats, by percentage of population, for welfare recipients per state? And in your opinion, what should government fund? I assume the military is not one of them from this article? And who do you think is actually affected by businesses being taxed? What exactly does this mean: “Many Alaskan residents actually receive a yearly check, which comes from the massive revenue generated from Alaska’s oil and gas reserves”? And it seems that if we didn’t pay Alaskans this money for oil it would go somewhere else because our dependency on oil right? Thanks for telling the truth! with the internet you would think those ignoramus would know the truth. Its another Great Day!